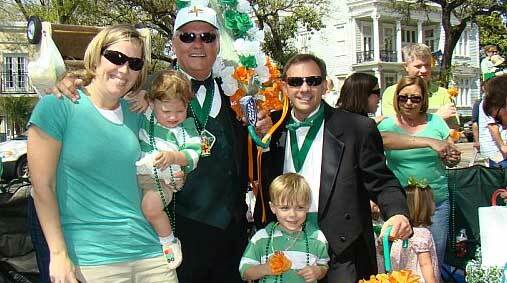 Jim Monaghan's parade rolls Friday (March 11) at 6:30 p.m. The parade takes its leave from Molly's at the Market (1107 Decatur. St.), then the route will lead marchers down Decatur Street to take a right on Bienville Street, then take a right on Dauphine Street to loop past Erin Rose (811 Conti St.). They'll march down Bourbon then finally take a right on Gov. Nicholls St. to return to Molly's.